Almost a month late, our August issue is here. 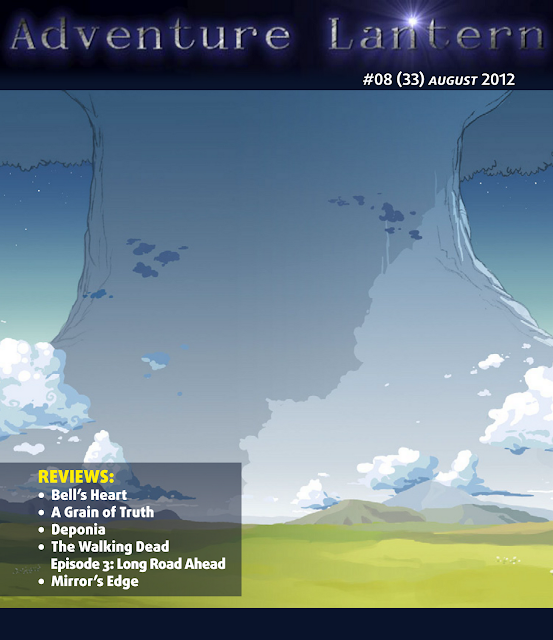 This issue features three reviews from myself, Bell's Hear, A Grain of Truth, and Deponia; And two from Nick Burgener, The Walking Dead ep. 3, and Mirrors Edge. Pick up the issue at Adventure Lantern.